WILMINGTON, Del. 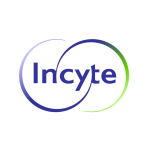 & and NEW YORK--(BUSINESS WIRE)--Incyte Corporation (Nasdaq:INCY) and Bristol-Myers Squibb Company (NYSE:BMY) today announced updated data from the ongoing Phase 1/2 ECHO-204 trial evaluating the safety and efficacy of epacadostat, Incyte’s investigational oral selective IDO1 enzyme inhibitor, in combination with Opdivo ® (nivolumab), Bristol-Myers Squibb’s PD-1 immune checkpoint inhibitor, in multiple advanced solid tumors. These data will be highlighted today in an oral presentation at the American Society of Clinical Oncology (ASCO) annual meeting in Chicago, Illinois. Efficacy data in patients with squamous cell carcinoma of the head and neck (SCCHN), treatment-naïve advanced melanoma (MEL), ovarian cancer (OC), and colorectal cancer (CRC) will be presented today. The data show that in patients with MEL treated with epacadostat (100 mg or 300 mg) plus nivolumab (n=40), the combined objective response rate (ORR) was 63 percent (25/40), including 2 complete responses (CRs) and 23 partial responses (PRs), and the combined disease control rate (DCR) was 88 percent (35/40). In previously-treated patients with SCCHN who were treated with epacadostat (100 mg or 300 mg) plus nivolumab (n=31), the combined ORR was 23 percent (7/31), including 1 CR and 6 PRs, and the combined DCR was 61 percent (19/31). Responses for MEL and SCCHN were observed regardless of PD-L1 expression and HPV status (in SCCHN), and all responses were ongoing at the data cutoff (February 13, 2017). Epacadostat plus nivolumab did not demonstrate an efficacy signal in the unselected refractory OC and CRC patient populations. Epacadostat plus nivolumab was generally well-tolerated in patients with select advanced solid tumors. In Phase 1 (dose escalation), 36 patients were enrolled and no dose-limiting toxicities were observed. Among the 230 patients enrolled in Phase 2, the most frequent treatment-related adverse events (TRAEs) (≥10 percent) in patients receiving epacadostat 100 mg BID (69/230) or 300 mg BID (161/230) and Opdivo were rash (35 percent and 32 percent, respectively), fatigue (23 percent and 38 percent, respectively), and nausea (19 percent and 21 percent, respectively). Rash was the most common Grade 3/4 TRAE (10 percent [epacadostat 100 mg BID] and 15 percent [epacadostat 300 mg BID]). TRAEs led to discontinuation in 6 percent (100 mg) and 12 percent (300 mg) of patients. There were no treatment-related deaths. 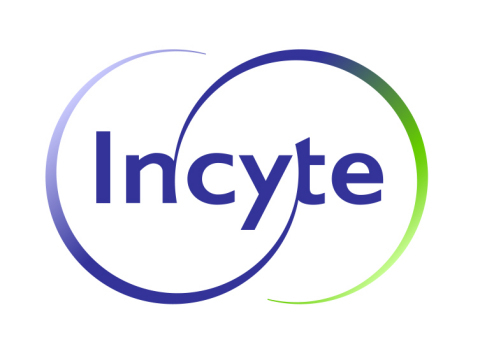 The ECHO-204 study (NCT02327078) is a Phase 1/2 study evaluating the safety and efficacy of epacadostat, Incyte’s selective IDO1 enzyme inhibitor, in combination with nivolumab in subjects with select advanced solid tumors and lymphomas, including melanoma (MEL), non-small cell lung cancer (NSCLC), colorectal cancer (CRC), squamous cell carcinoma of the head and neck (SCCHN), ovarian cancer (OC), and B cell non-Hodgkin lymphoma (NHL) or Hodgkin lymphoma (HL) (in Phase 2, DLBCL was the only NHL sub-type permitted). Patients previously treated with anti-PD-1, PD-L1, anti-CTLA-4, or therapies specifically targeting T-cell co-stimulation were excluded from this trial (except for MEL subjects where prior first-line anti-CTLA-4 was permitted). Enrollment for the Phase 2 (epacadostat 100 or 300 mg BID + nivolumab 240 Q2W) tumor-specific cohorts is ongoing. For more information about ECHO-204, visit https://clinicaltrials.gov/ct2/show/NCT02327078. Indoleamine 2,3-dioxygenase 1 (IDO1) is a key immunosuppressive enzyme that modulates the anti-tumor immune response by promoting regulatory T cell generation and blocking effector T cell activation, thereby facilitating tumor growth by allowing cancer cells to avoid immune surveillance. Epacadostat is an investigational, first-in-class, highly potent and selective oral inhibitor of the IDO1 enzyme that regulates the tumor immune microenvironment, thereby restoring effective anti-tumor immune responses. In single-arm studies, the combination of epacadostat and immune checkpoint inhibitors has shown proof-of-concept in patients with unresectable or metastatic melanoma. In these studies, epacadostat combined with the CTLA-4 inhibitor ipilimumab or the PD-1 inhibitor pembrolizumab improved response rates compared with studies of the immune checkpoint inhibitors alone. We are leading the scientific understanding of I-O through our extensive portfolio of investigational compounds and approved agents. Our differentiated clinical development program is studying broad patient populations across more than 35 types of cancers with 14 clinical-stage molecules designed to target different immune system pathways. Our deep expertise and innovative clinical trial designs position us to advance I-O/I-O, I-O/chemotherapy, I-O/targeted therapies and I-O/radiation therapies across multiple tumors and potentially deliver the next wave of therapies with a sense of urgency. We also continue to pioneer research that will help facilitate a deeper understanding of the role of immune biomarkers and how patients’ individual tumor biology can be used as a guide for treatment decisions throughout their journey. In 2011, through a collaboration agreement with Ono Pharmaceutical Co., Bristol-Myers Squibb expanded its territorial rights to develop and commercialize Opdivo globally except in Japan, South Korea and Taiwan, where Ono had retained all rights to the compound at the time. On July 2014, Ono and Bristol-Myers Squibb further expanded the companies’ strategic collaboration agreement to jointly develop and commercialize multiple immunotherapies – as single agents and combination regimens – for patients with cancer in Japan, South Korea and Taiwan. Except for the historical information set forth herein, the matters set forth in this press release, including statements regarding the presentation and discussion of data regarding the Company’s ECHO-204 study and the planned pivotal trials of epacadostat in combination with nivolumab, contain predictions, estimates and other forward-looking statements. These forward-looking statements are based on the Company’s current expectations and subject to risks and uncertainties that may cause actual results to differ materially, including unanticipated developments and the risks related to the efficacy or safety of the Company’s development pipeline, the results of further research and development, the high degree of risk and uncertainty associated with drug development, clinical trials and regulatory approval processes, other market or economic factors and competitive and technological advances; and other risks detailed from time to time in the Company’s reports filed with the Securities and Exchange Commission, including its Form 10-Q for the quarter ended March 31, 2017. Incyte disclaims any intent or obligation to update these forward-looking statements. This press release contains "forward-looking statements" as that term is defined in the Private Securities Litigation Reform Act of 1995 regarding the research, development and commercialization of pharmaceutical products. Such forward-looking statements are based on current expectations and involve inherent risks and uncertainties, including factors that could delay, divert or change any of them, and could cause actual outcomes and results to differ materially from current expectations. No forward-looking statement can be guaranteed. Among other risks, there can be no guarantee that Opdivo or any of the compounds mentioned in this release will receive regulatory approval for an additional indication. Forward-looking statements in this press release should be evaluated together with the many uncertainties that affect Bristol-Myers Squibb's business, particularly those identified in the cautionary factors discussion in Bristol-Myers Squibb's Annual Report on Form 10-K for the year ended December 31, 2016 in our Quarterly Reports on Form 10-Q and our Current Reports on Form 8-K. Bristol-Myers Squibb undertakes no obligation to publicly update any forward-looking statement, whether as a result of new information, future events or otherwise.